business users, but now the end of life for Win 7 is less than one year away. (desktops, tablets or laptops) to Windows 10, now is the time! sure this work is completed well in advance of the end of the year. Microsoft’s ended its “free upgrade offer” for Win 10 in 2016, which means the only way to get a Win 10 upgrade is to pay for it… however, Microsoft is not enforcing it – yet! Sadly, there is no way to know how much longer Microsoft will turn a blind eye to the free upgrades they already expired. license to Win 10 for free? (desktop, tablet or laptop) it is 1st wise to be certain of a few things. 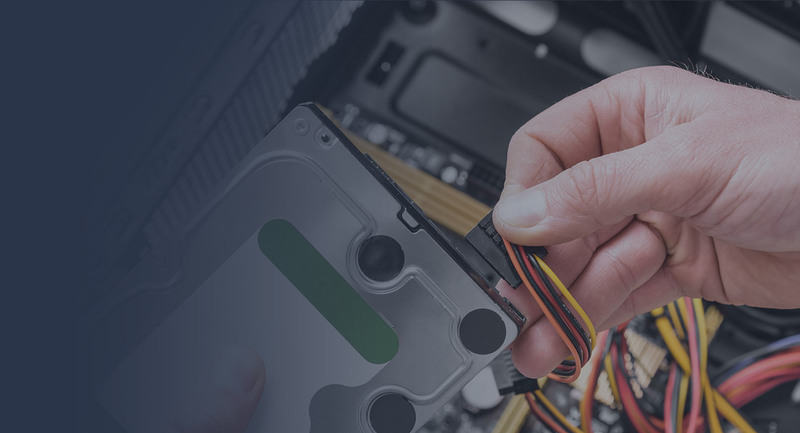 By preparing your PC for the upgrade, you are taking all the necessary precautions to allow the upgrade process to off go cleanly and smoothly. a PC (laptop, tablet or desktop) to Win 10. Step 1: Test all hardware. or bite the bullet and buy a new PC. Step 2: Make sure your computer is able to be upgraded to Win 10. 16GB of free space to install Win 10. Step 3: Scan and remove any malicious code (Viruses and/or malware). As the saying goes, it’s not nice to fool mother nature, and it could be disastrous to fool with upgrading to Win 10 with infections! Step 4: Resolve any system file corruption in Win 7.
put Win 10 on your PC, but it will have to be done as a clean install. Step 5: Backup your computer. for us to get this critical chore done for you. Win 10 upgrade should install without a hitch, but driver problems, or file system corruption are a real possibility and, during any automated system update, there’s always a chance something could go wrong. Therefore before we begin the upgrade process, we highly suggest you create a backup all data files, or we can do it for you! Step 6: Update your current Windows Software. Before the upgrade, we will install all of the service packs & updates for Win 7. Step 7: Upgrade your PC to Win 10. Depending on your computer’s hardware this process takes about 2 hrs. Whenever installing a new version of Windows, it’s always a sound idea to verify that you’re using compatible drivers. This will help you avoid stability issues that could arise due to your computer’s hardware. Step 9: Install Win 10 service packs and updates. Step 10: Activate your new Win 10 license. Once your computer has the latest updates, we will activate your new digital Win 10 license. Q: How much do we charge to Upgrade your PC to Win 10? A: $99 covers the upgrade or clean installation of Win 10, There is an additional $69 fee if you would like us to back up your PC. before we upgrade it. This price covers most PC. It wouldn’t, for example, cover a server or high-end workstation. At the time of this writing, there are no additional upgrade license fees from Microsoft. Q: What is the difference between upgrading or clean installation of Win 10? A: If we can upgrade Win 7 to Win 10, your PC will be exactly the same after the upgrade as it was before, except you’ll be running Win 10 instead of Win 7. Q: Will all of my software and printers work after the upgrade? A: Most if not all of your software and printers should run without a problem in Win 10, but there are exceptions. You need to check with the software vendors to make sure the products installed in your PC are compatible with Win 10. In the last 2 years, we have upgraded literally hundreds of PCs to Win 10 – Our experience says on 95% the upgrades we do, all software and printers work flawlessly in Win 10 after the upgrade. For whatever reason, if the upgrade process fails (and it does happen on occasion) it is not a problem, we can cleanly install a new copy of Win 10 on your PC, and transfer your backed files to your PC. If you do not back up your data files you are risking the possibility of a data loss. Unfortunately, with a clean install, you will have to reinstall all of your software & printers and you will be starting all over with a “new” PC. Q: What if there is a problem and my PC can’t be upgraded to Win 10? A: Your only risk is a $19 diagnostic fee. Q: How long does the upgrade take. 1 pm, Monday – Friday. It also depends on how smoothly the upgrade goes.